We all know that in the land of the living, humans are made up of mostly water, but what happens when someone comes back from beyond the grave, how do they manifest into a ghost and what are spirits physically made of? Could Mediums Actually Be Contacting The Living From Different Time Periods Rather Than The Dead? If a séance can cross the barrier between the world of the living and the world of dead, shouldn't it also be possible to break through to another point in the spacetime continuum and make contact with others holding a séance in the same location at a different point in time? It is one of the most famous haunting cases in the UK, but how much do you know about the paranormal activity which occurs in Wales' most haunted pub? Test your knowledge with this tricky paranormal trivia quiz. It is one of the most famous haunting cases in the UK, but how much do you know about the paranormal activity which occurs in this ancient pub? Test your knowledge with this tricky paranormal trivia quiz. The ten most famous haunted slammers in the United Kingdom from modern prisons to old Victorian jails and medieval lockups, all with a reputation for hauntings. Chillingham Castle currently holds the accolade of the most haunted hotel in Great Britain, and best of all, you can stay there and experience it for yourself, as the medieval castle in Northumberland is now a hotel. 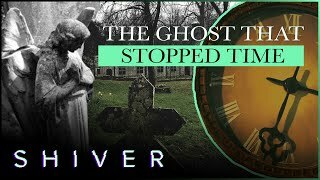 There are a few non-paranormal explanations for some of the most common ghostly experiences, of course these explanations won't explain away all claims of the paranormal, but they will help you filter out claims which might be untrue or exaggerated. Do Believers In Ghosts & The Paranormal Have A Low IQ? It recently occurred to me that bad grammar is writhe in the paranormal community, which has made me wonder if there could be a correlation between supernatural belief and intelligence. Cosmologist, Sean Carroll, is the next in a long line of scientists to make headlines by claiming outright that there is no such thing as an afterlife or ghosts. What Is A REM Pod & How Does It Work? 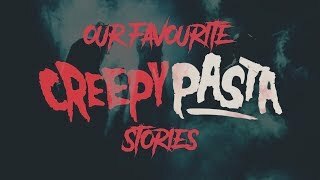 The ten most famous haunted hotels and guest houses in the United Kingdom with a reputation for their resident ghosts and spirits, from Cornwall to Scotland.